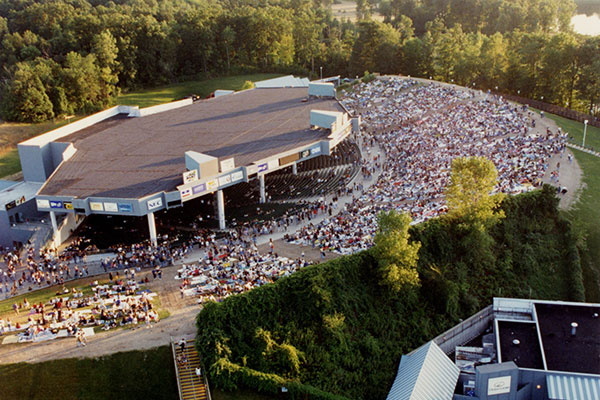 The DTE Energy Music Theatre (originally Pine Knob Music Theatre) is a 15,274-seat amphitheater located in Independence Township, Michigan. It opened in 1972 with an Andy Williams concert. It is in the same complex as Pine Knob Golf Course and Ski Area, hence its original name.